Mortgage Broker Bond – Who Is Eligible for It? Mortgage brokers do not loan their own money, they are mere independent contractors working on screening people eligible for various loan products offered by a number of financial institutions. Mortgage broker bond eligibility ensures lenders that the given contractor practices lending in good faith, has exact understanding of all the necessary requirements needed for securing mortgage loans. Mortgage broker bond eligibility rules are specific to each state and must me renewed annually to keep up with recent lending trends. In addition, mortgage broker bond ensures that you have all the legal requirements to practice loan business and possess all the necessary knowledge to deal with difficult loan situations like, for example, assessing possibilities of mortgages for people with bad credit. 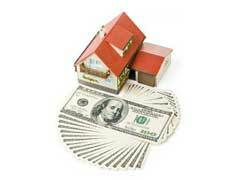 Mortgage broker bond also protects customers from predatory loan practices or lending fraud. Large clients are more likely to do business with lenders protected by mortgage broker bond giving them a piece of mind and additional protection. Each state in the US determines who is eligible for mortgage broker bonds, which types of loans they can work with, value limits and so forth. General mortgage broker bonds eligibility rules are based on continuous education and strong knowledge of real estate laws and regulations, extensive experience working in the real estate industry, good personal credit history, physical office location and many more that might differ from one state to another. Mortgage broker bonded lenders are professionals who have expertise to deal with difficult financial situations and devising the best plan especially for mortgage loans with bad credit. In addition, they can provide financial advice on getting a mortgage with bad credit and what you can do to optimize your chances of landing a good mortgage rate.